The incident occurred as the plane skidded off the runway while preparing to take off and hit helicopters parked at the Lukla-based helipad. The Tenzing-Hillary-Lukla Airport is known as the most dangerous airport in the world. 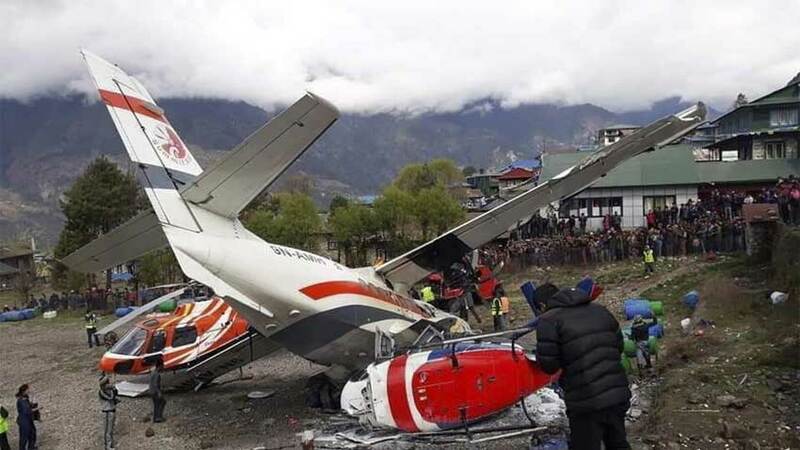 The incident occurred as the plane skidded off the runway while preparing to take off and hit helicopters parked at the Lukla-based helipad which is 30-50 metres from the runway, the Kathmandu Post reported. Assistant Sub-Inspector Rudra Bahadur Shrestha, who was injured in the incident and airlifted to Kathmandu, died while undergoing treatment at Grande Hospital, hospital sources told.